Please allow 4-6 weeks for delivery. For Quick Ship Items click here. Our largest and most sumptuous glider yet, the Vera provides incredible gliding comfort. 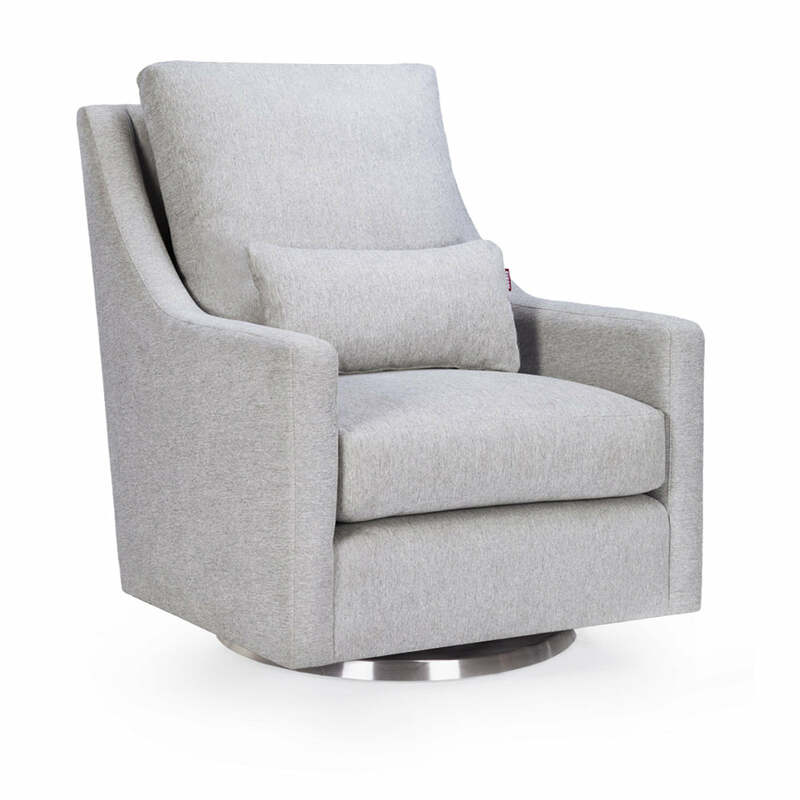 With a removable back cushion that is pillow-soft and a removable seat cushion that is super comfy, you will sink right in to this extra-wide and luxurious glider. Removable and washable covers for seat and back cushion. Our foam is free of any flame retardant chemicals. For more on our sustainable practices, click here. We think you’re going to love your Monte product....but in case you don’t we will gladly process a return or exchange up to 14 days after you receive it. Any returned Monte product must be in its original box and packaging. All beds, gliders and rockers are eligible for an exchange of equal value at no additional charge within a 14 day period. To exchange an item, contact our customer service team or call 1-866-604-6755 9am-5pm EST. If for any reason you would like to return your Monte glider, rocker or bed within 14 days after receiving it, we will refund you the purchase price less a $99 return fee. All items are required to be unused and in new condition and returned in their original box and packaging. Once the product is returned to us in its original condition, a refund will be processed. Please Note: If you chose "Room of Choice Delivery"- delivery fees are non-refundable. In order to process a return please contact our customer service team or call 1-866-604-6755 9am-5pm EST. All returned products must be in their original box and packaging. If you are considering a return or exchange please retain the original box & packaging following delivery. Before contacting our customer service team please have your order number and product details ready.